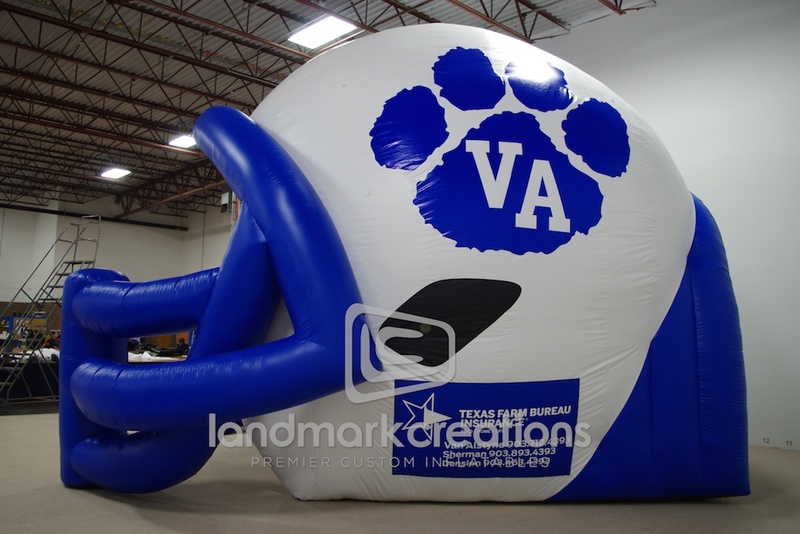 Van Alstyne High School inflates their custom football helmet during home games to pump up fans and athletes. 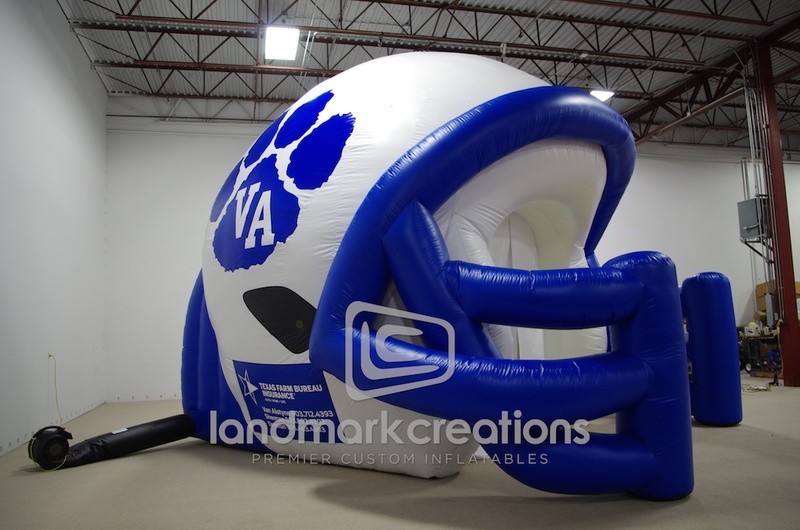 The inflatable tunnel was custom designed to replicate their existing helmet! 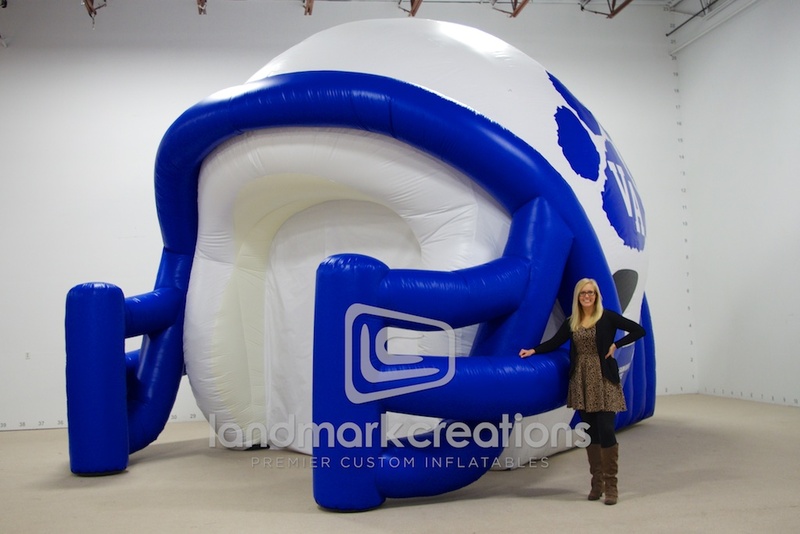 Pack DIMs: 36" x 46" x 48"